According to a study by the University of Michigan's Transportation Research Institute, emissions from newer vehicles have been declining since 2007. Photo by euthrophication&hypoxia. Two research professors from the University of Michigan’s Transportation Research Institute developed an Eco-Drive Index (EDI) that estimates the average monthly environmental impact of a single driver in the United States. The value applies to newly purchased vehicles, indicating how far fuel efficiency has come since 2007. Michael Sivak and Brandon Schoettle derive the monthly values from two sub-indexes: 1) the average amount of fuel used per distance driven by newly purchased vehicles and 2) the distance driven per individual driver. Cross-multiplying these two values yields the EDI. A small EDI value reflects a smaller negative environmental impact. Monthly sales data for individual models from Automotive News is complemented with the Environmental Protection Agency’s combined fuel-economy ratings and the Federal Highway Administration’s monthly distances driven data. Each month’s calculation is computed relative to the respective values of October 2007, the year the EPA started using the current fuel-economy rating system. 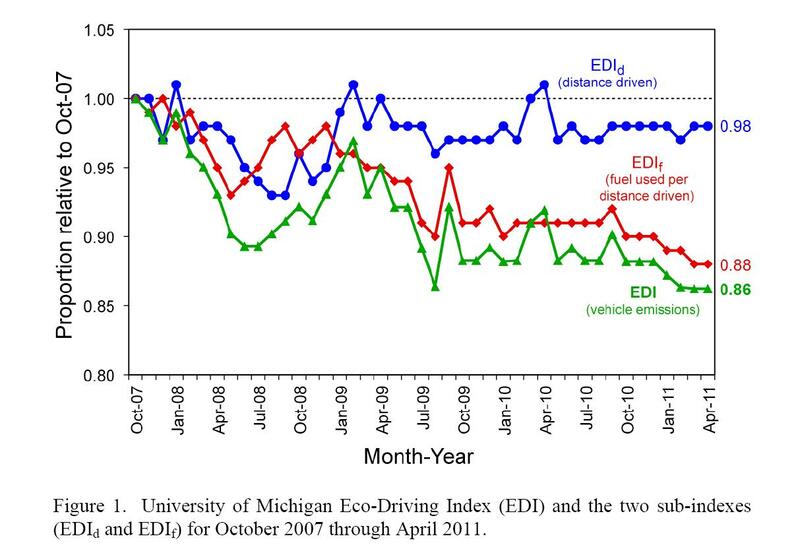 So, for example, an EDI of 0.86 in April 2011 tells us that the environmental impact of a U.S. driver in April was 0.86 of the EDI value in October 2007. 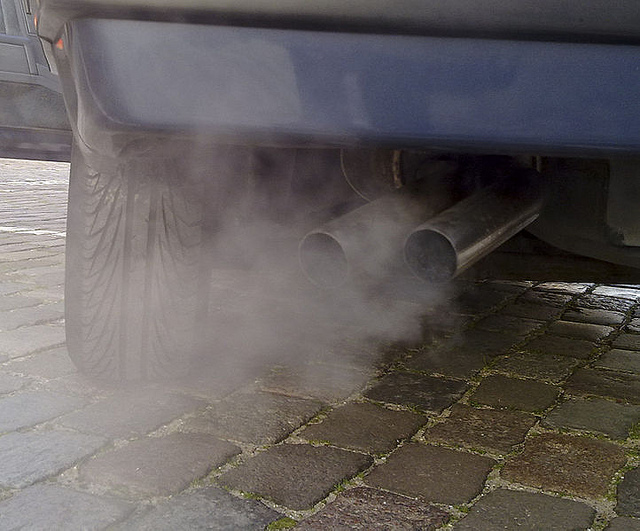 In other words, “a driver who purchased a new vehicle in April 2011 has, on average, contributed 14 percent less emissions from driving that month compared to the emissions in October 2007,” explained Sivak in an e-mail to the CityFix. In fact, the chart below shows that the EDI has been declining since 2007, but this value only applies to the fuel-efficiency of newly purchased vehicles and does not comment on the carbon emissions of the entire driving community. Although the market’s current vehicles have better fuel-efficiency than that of previous vehicles, we are a long way from cutting our carbon emissions in a meaningful and effective way. Learn more about the Eco-Drive Index here.